We provide Government RFPs, Bids and Tenders documents and other details. Basically we are paid-search engine services for Government RFPs, Bids, Solicitations and Tenders. We provide only contact details and RFP document to save your research time. So, you first need to pay fees for the contact details and purchase the RFP or Tender Document. After the payment, once you receive RFP document, you can contact government authority and submit your proposal directly. You can make payment via PayPal on our website. Once we receive payment confirmation from PayPal, you will receive published RFP document within 12 working hours at your email address. If you make payment for Monthly Subscription, it will also take up to 12 working hours to activate your Monthly Subscription. All requirements posted on our website are the purchasing requirements from Government or Semi-Government Organizations from All Over the World. Please read the FAQs on our website first. You can also review Expired RFPs before making any payments. (2) What is Government RFP? Whenever government authority wants to purchase any services or products from open market, they issue a document which is called RFP, Bid, and Solicitation. All the posted requirements on our website are Government RFPs. For Example, suppose the City of New York wants to hire a Web Development firm to develop its official website. They cannot award the work directly in most cases (although there are few rare exceptions). So, they will first issue a document with their website development requirements. This is called RFP. Various companies need to go through the project requirements and apply for the work. For detailed queries, provide us with your name and contact number. 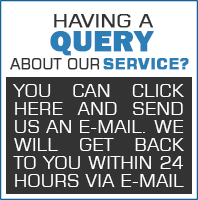 We will consult the concerned department and get back to you within 24 working hours. (3) How your service works and why do I need to pay? We are paid-search engine services for Government RFPs, Bids, Solicitations and Tenders. We connect vendors, contractors, service providers, suppliers and Government Agency buyers. We provide all the Federal, State and Local RFPs under one roof to basically save your time for searching RFPs. When you pay us the monthly subscription, we search government RFPs for you. (4) What is included in the RFP document? RFP documents include the direct contact details of government authority, scope of services that government require and other required bid or proposal details of services required by government (if it is included). (5) Do I need to bid to RFP via RFPMart or directly to government authority? You need to submit your proposals directly to the government authority. There will be contact details of government agency in RFP document. (6) What if I have not received my RFP document after purchase? You will have online access to RFP/Tender Documents instantly after purchase. You need to return to our website from the PayPal website to receive your RFP documents. You need to click on the link given in the website or email in order to download your RFP document. If you do not return immediately to our website after purchase, the delivery of your RFP documents will be delayed. You will receive RFP documents within a maximum of 12 hours during weekdays and 24 hours on weekends via email if you did not retrieve them immediately after purchase. You need to check your e-mail address in a timely manner. You also need to make sure that your e-mail service does not block our mails. We have had the experience on many occasions of our e-mails being blocked by hosting companies as we sent RFP Document URLs. Please add rfpmart.com to your safe sender list. You will be also able to download RFP document from website after your purchase. You can contact our customer care at 315-627-3333 if you do not receive RFP document between 10.30 AM to 7.30 PM EST. You can also send us email at support [at] rfpmart [dot] com if you are unable to connect through telephone line. (7) How will I receive RFP documents after my Monthly Subscription? You can login and download RFP documents from our website after your monthly subscription. It will take up to 12 working hours to activate your monthly subscription after the purchase. (8) I have purchased monthly subscription; still I am unable to download RFPs from website. It generally takes 12 working hours to process the payment successfully and activate your monthly subscription. Sometimes, processing credit cards takes time even though PayPal shows you payment confirmation. Your subscription will be activated within next 12 working hours maximum. You will be able to download RFPs from website after that. You can contact our customer care at 315-627-3333 between 10.30 AM to 7.30 PM EST if your Monthly Subscription is not activated. You can also send us email at support [at] rfpmart [dot] com if you are unable to connect through telephone line. (9) How can I cancel my monthly subscription? You can cancel your subscription at any time from your PayPal account. There is no minimum required duration or contract. You are free to cancel your subscription at any time. You can cancel your subscription via your PayPal account from Profile Tab -> My Money -> My preapproved payments. Can I Cancel My Single RFP? All the payments made for Single RFP documents are non-refundable. (10) Is it guaranteed that I will get the work? We do not guarantee that you will be awarded the Tender, RFP, Solicitation or Contract. We only provide direct contact details of any related government authority with their Tender, RFP, Solicitation and Contract document. After that, you need to contact them and deal directly. (11) How can I apply for Government Tenders, RFPs, Solicitations and Contracts? First, you need to purchase single RFP document or pay monthly subscription fees. You may pay via PayPal on our website. Once we receive payment confirmation from PayPal, you will receive published RFP notifications within 12 hours at your email address. Then you have to contact the concerned government body directly and apply. All the procedure and contact details will be provided in the bid document. (12) What about Credit Card Security? All the date transferred through our website are encrypted using 256-bit encryption method. We are also using PayPal as preferred mode of transaction, where you are not required to shared you credit/debit card details. (13) What are the eligibility criteria to apply for Government Tenders, RFPs, Solicitations and Contracts? Each RFP has different eligibility criteria. However, it is generally required that you have a valid business license to carry out contracted work in that state, country. If you apply for a Global Tender/RFP/Solicitation, it is generally required that you have a valid business license to carry out work in your home country. A Quality Certificate like ISO or Six Sigma is also preferable/plus point when applying for such contracts. Government agencies usually ask for verification of 3 years� experience. (14) Can Companies from India, Philippines, Vietnam, Cambodia, Pakistan and Bangladesh apply for USA, UK or Other Country Tenders, RFPs, Solicitations or Contracts ? Most of the work has to be completed within home country, the country where RFP is issued. However there are few exceptions as well. You can take prior written permission and apply for the RFPs. However, companies from India, Philippines, Pakistan, and Bangladesh can apply for the Offshore or Global RFPs. For Offshore RFPs, work can be completed outside home country. Offshore RFPs you can check in Global category. (15) How genuine are the RFPs, Tenders, Solicitations or Contracts? All posted RFPs, Tenders, Solicitations or Contracts are genuine as they are from Government Agencies from all over the world. If RPFs are from private companies, they will be available free of charge on our website. You will need to verify for yourself if they are genuine. Please send FAX to 315-702-0205. .
(17) Do we provide any direct work? (18) Do you provide all government RFPs? Yes we provide all Local, State, Federal RFPs. (19) Do you inform customers about new RFPs or do they have to check your website every day? Yes we do inform the customer about new RFPs through emails. (20) If anyhow I do not receive RFP document through my email id, can I download the RFP document (Monthly/Single) from your website? Yes they can also download it from our website. (21) Since How long you are in this business? We are in business since January 2010. (22) How can I chnage my registered email address with RFPMart ? Please note that we are unable to change your register email id on RFPMart. However you can register with new email address and then we can migrate your Monthly or Annul Subscription into your New RFPMart account. Once you register with new email address, please inform your new email address. Then, we will migrate your Monthly or Annual Subscription into your new account.